Hi friends! We're back with another day of hopping counting down to our new release on April 10. I hope you'll hop along with us to see the eye candy the Divas are sharing. Leave a little comment love for them as you hop about for a chance to win some shiny new Verve! I'm the first stop on the Day 2 April New Release Spotlight Hop, so if you didn't hop here from somewhere along the hop, you're in the perfect place to jump right in! All of the stamps and dies you'll be seeing over the next few days will be available in the Verve shop on Tuesday, April 10. If you missed yesterday's hop, click here for my Day ONE post. 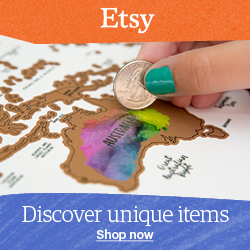 So maybe, like, me, you've been wishing for a hot air balloon stamp with a matching die. Or maybe you wished that the butterfly in Sparkly Dreams was just a teeny bit larger and easier to color? Or maybe you could just use a little word of hope for a friend going through a difficult time? Well, this is the set for you! Since I used the butterfly image for my Viva la Verve card on Friday, I decided to start with the hot air balloon image from Hope Lifts for today's card. 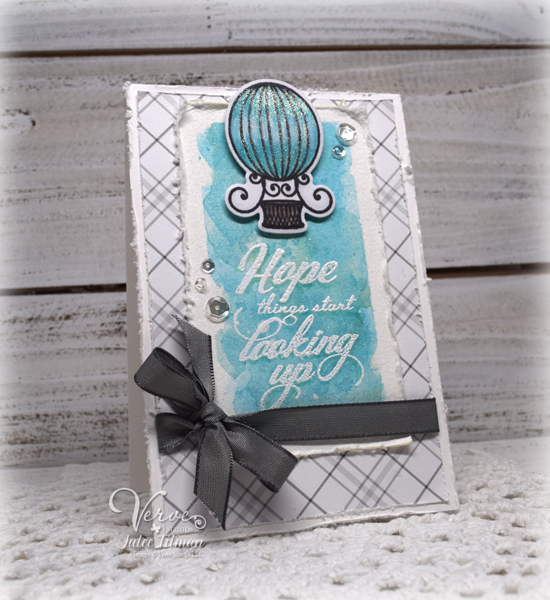 I simply stamped it and cut with the coordinating Lifted Hope die set and started coloring with Copics. Next I pulled out some shimmerz sprays and did a watercolor wash on a piece of watercolor paper. I embossed the hope things start looking up sentiment in white. At this point I decided that the Copic colors I chose didn't quite match my wash, so I used some of the leftover ink to watercolor over the Copics. I then used a little white india ink to add in some white highlights, then coated the whole thing with wink of stella. I chose a tall card layout to reinforce the looking up sentiment. A piece of patterned paper, a taffeta bow and some shiny sequins finish things off. Want to win some shiny new Verve? We'll be picking a random commenter on one of the hop spots below to win today's featured products! 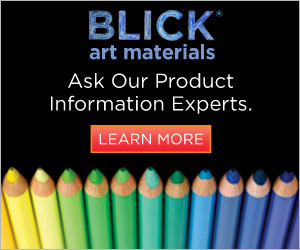 So be sure to leave a little comment on all the blogs below to increase your chances! Check out the Verve Blog post today for the full hop list, prize details and a little more on this fun new set. What an uplifting set! Hope does indeed lift us up. I can’t wait to see what other cards you make! Love the set! 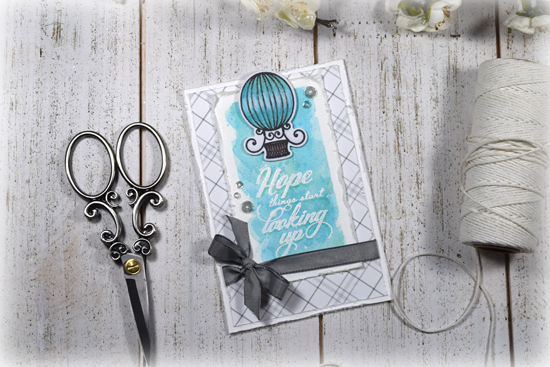 That lovely shade of shimmery blue, the beautifully scripted sentiment, and the whimsical balloon are indeed hopeful. Such a pretty card and it always is fun to hear of the crafting steps! So pretty! I love the shimmer on the balloon, and the colors you used! Beautiful card! Love the sentiments in this set. Came over from the store blog because I'm totally in love with that card! But I'm thinking I can justify getting the new stamp set because of the wonderful sentiments I would actually use & the hot air balloon! I've wanted that image in a stamp, but never bought one. So glad, since this one is my favorite I've ever seen! 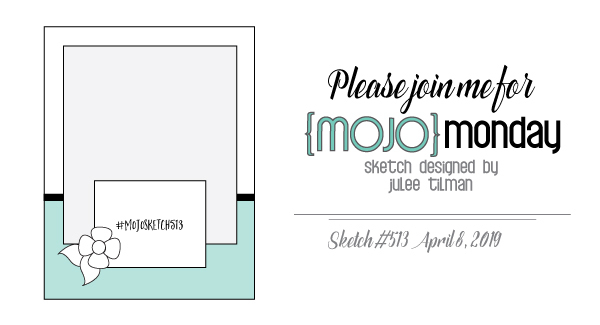 Love your watercolor wash, white embossing & the gray plaid background! Another wonderful card, Julee! I love the Lifted Hope set. It is going on my wish list. A lovely new set and adore that butterfly. A truly beautiful creation! Love your card & those sentiments are wonderful! This set totally speaks to me and I know that you know why. ;) Definitely going on my wish list! Maybe once I kick this battle I can go back and scrapbook my journey and use this set. Your card is absolutely gorgeous and just happens to be another favorite color combo of mine! I love everything about this card! Love your beautiful card, so serene! Thanks for sharing. LOVE the colors and the beautiful products you used! Beautiful card. I really like the balloon design. Very cute. This is beautiful card, such a fabulous design - absolutely gorgeous. You are right, just the right sentiments. At my age, lots of my friends need to know that things will be better, just not the same. Such an uplifting card (no pun intended)! This sentiment and die set are so beautiful! another gorgeous set... your card is amazing, of course!! Wonderful card! Love the blues and grays together. Fabulous stamp set too! I love that beautiful watercolor wash and the inspirational sentiment! The balloon is so pretty, beautiful card and design! So beautiful. Great Work. These sets are amazing. Such a sweet, pretty card - love the balloon. Wow! Awesome card! Love so much all the details and your choice of colors!!! Wonderful card with this impactful stamp set. I am glad to see that cute balloon making a comeback! I love the set I have with it. Cute card! Such a pretty "blue" card and a great sentiment. This is a wonderful new set. I love that balloon stamp!